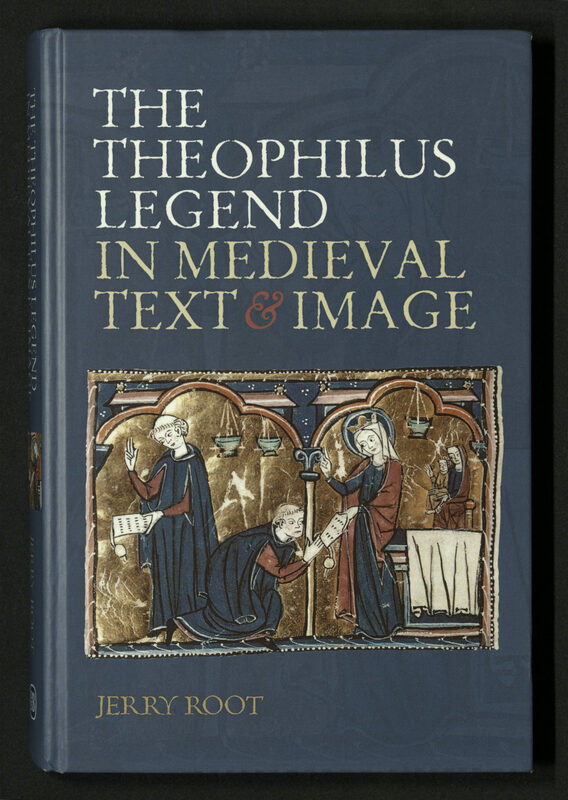 From the publisher’s website: “The legend of Theophilus stages an iconic medieval story, its widespread popularity attesting to its grip on the imagination. A pious clerk refuses a promotion, is demoted, becomes furious and makes a contract with the Devil. Later repentant, he seeks out a church and a statue of the Virgin; she appears to him, and he is transformed from apostate to saint. 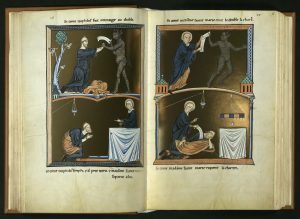 It is illustrated in a variety of media: texts, stained glass, sculpture, and manuscript illuminations. Jerry Root is Associate Professor of French and Comparative Literature in the Department of World Languages and Culture at The University of Utah. 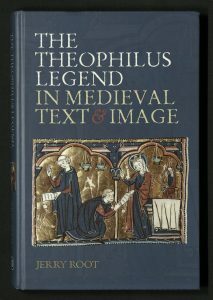 The Rare Books Department has facsimiles of two of the medieval manuscripts Prof. Root worked with for his book. Facsimile. 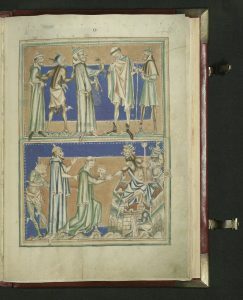 Produced around 1195 in northeastern France, the Ingeborg Psalter is written in Latin with two flyleafs of inscriptions in French. The illuminations in this work represent a turning point in the history of European painting, when artists left behind abstract and highly stylized forms in favor of a more naturalistic representation of the world. The three-dimensional qualities of the figures, their proportions, and their expressive movements stand out as essential innovative elements in the emerging Gothic style of the early 1200’s. The manuscript is named after its first owner, Ingeborg, a Danish princess and spouse of King Philip II of France, who was expelled by her husband for unknown reasons shortly after their wedding. The beginnings of the psalms are rubricated with ornamental initials. 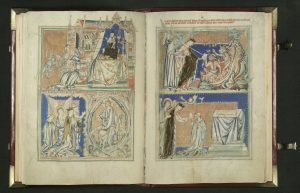 Some of the psalms are illuminated with ornate figural initials depicting scenes from the life of David. A large number of elaborate miniatures of a decisively new style and design greatly influenced the art of illumination in the Gothic period. 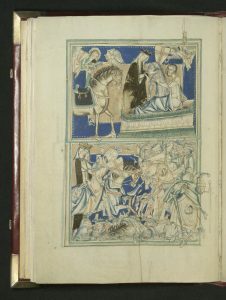 The illuminations depict episodes from the lives of Abraham and Moses, followed by the root of Jesse marking the transition between the Old and New Testaments. Further illuminations are based on themes taken from the life of Christ. Finally, scenes from the legend of Theophilus are depicted. 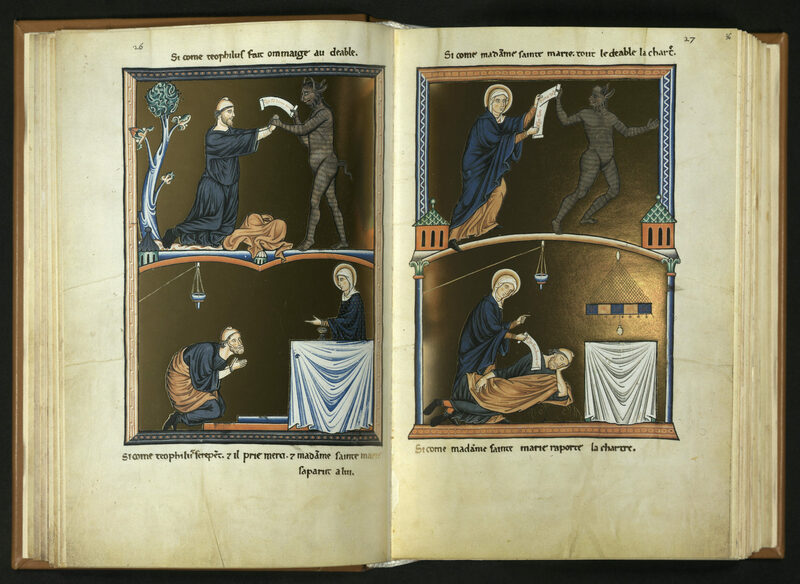 In this popular medieval epic, the sinner Theophilus devotes himself to the Devil and is saved by the Virgin Mary, thus introducing the Faustian motif for the very first time. Bound in embossed leather. Edition of five hundred copies. University of Utah copy is no. 396. Facsimile. 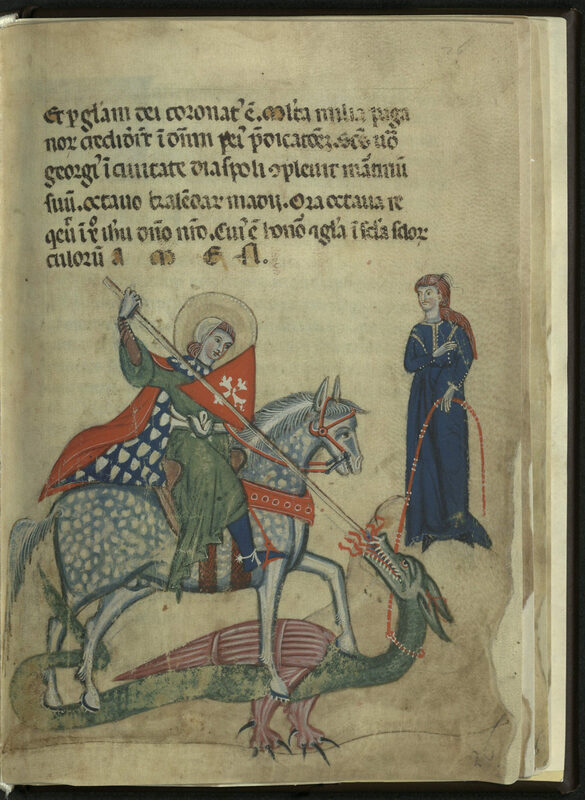 This manuscript was likely commissioned by Lady Eleanor de Quincy, Countess of Winchester (ca. 1230-74), daughter of William III, Earl Ferrers of Derby (1200-1254). It was produced circa 1252-67, probably in London. 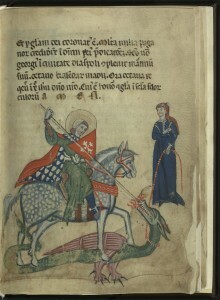 Eleanor is depicted in one of the illuminations that serve as a visual appendix to the book. 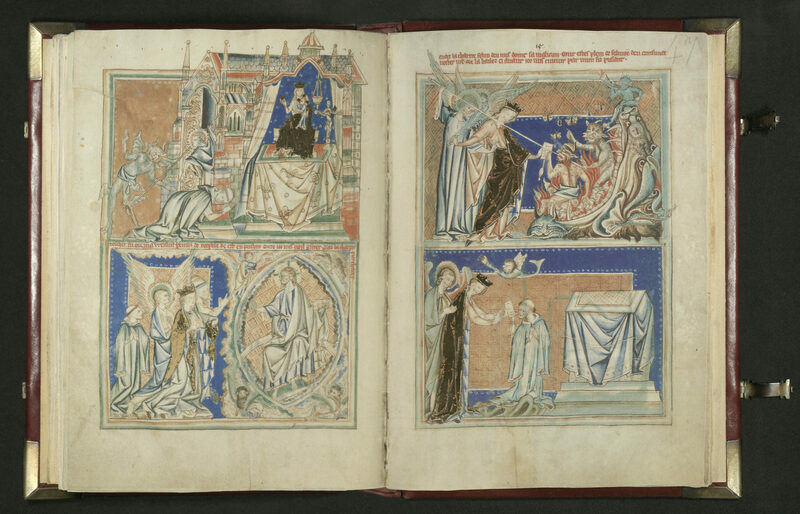 St. John’s revelatory vision of the end of the world was a popular subject for medieval illustration, given the emotionally powerful images of clashing armies of angels and demons and terrestrial and celestial upheaval evoked by the text. Seventy-eight miniatures include the Dragon being cast into Hell (Rev. 20:9-10) and Christ sitting in Final Judgment (Rev. 20:11-15). The text, in Jerome’s Latin Vulgate, includes extracts from an eleventh century theological commentary on the Book of Revelations. 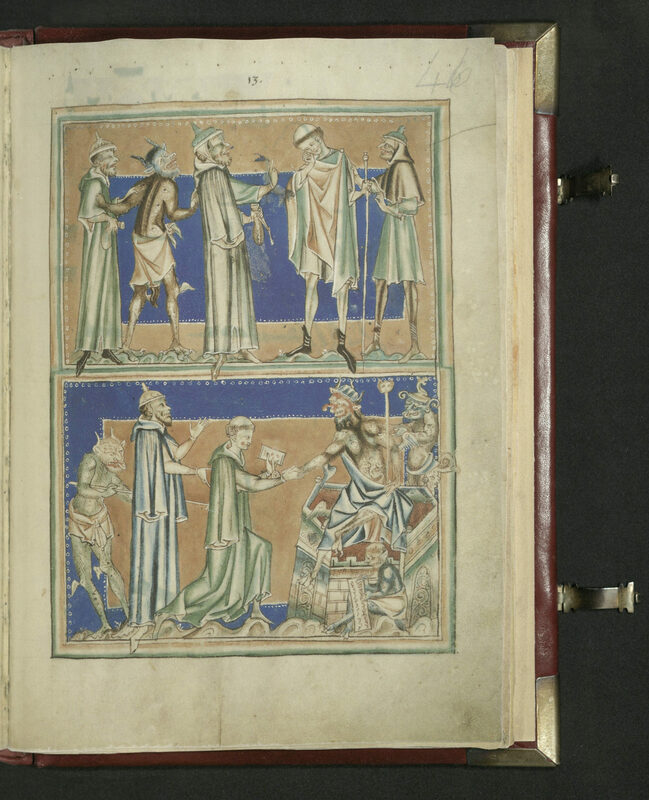 Illuminated Apocalypses were fashionable in England when this manuscript was produced. The commentary was added to ensure that the reader was correctly guided through an understanding of the biblical symbolism. Illuminations helped with this guidance, but they also served as a statement on the owner’s social position. The more lavish the production, the more prominent the owner, or, at least, the more wealthy. The book was intended to educate, but also to entertain.